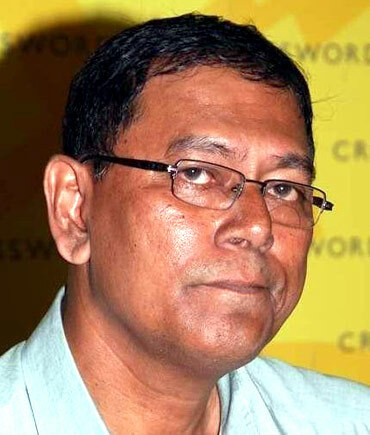 A special court will start the trial of the journalist J Dey murder case on a daily basis from December 17. Underworld don Chhota Rajan was shown as an absconding accused in the case. "The Maharashtra Control of Organised Crime Act court will start recording the statements of witnesses from December 17 on a day-to-day basis," said public prosecutor Dileep Shah. Shah said he had sought time of two weeks to prepare himself as Raja Thackare had resigned as public prosecutor of the case earlier last month. He told PTI that special judge A L Pansare had observed that though the state government has handed over all the cases against the underworld don to CBI, the government notification was silent on conducting the trials. Rajan, who is shown as an absconding accused in the murder case, was arrested on the basis of an Interpol Red Corner notice at Bali airport in Indonesia on October 25 and deported to India on November 6. On the eve of his deportation, Maharashtra government handed over all the cases against Rajan to CBI citing the agency's "expertise in handling transnational crimes". Dey, working with a Mumbai tabloid, was shot dead in suburban Powai on June 11, 2011 by assailants. A scribe, identified as Jigna Vora, is accused of passing on key information like the registration number plate of Dey's motorcycle and his address to the don. She had been arrested in November 2011 and granted bail in July 2012. Police had filed a charge sheet in December 2011 against the arrested accused, namely Satiah Kaliya , Abhijeet Shinde, Arun Dake, Sachin Gaikwad, Anil Waghmode, Nilesh Shendge, Mangesh Agawane, Vinod Asrani, Paulson Joseph and Deepak Sisodia. According to police, Rajan, upset with two articles written by Dey, which purportedly portrayed him in bad light, had ordered his killing. As per the charge sheet, Vora allegedly instigated the underworld don to execute Dey owing to professional rivalry. The court had framed charges against 11 accused including Vora on June 8. The court had charged the accused with being members of Rajan's gang and hatching a conspiracy to murder Dey.